This week – September 9th thru 15th 2018 – is National Truck Driver Appreciation Week, a time for America to honor professional drivers for their hard work and sacrifice. This industry is the backbone of our economy and the drivers are the heart of it. Last near these dedicated drivers delivered 10.55 billion tons of freight around the country, according to American Trucking Associations (ATA). Today, more than 80% of U.S. communities rely on truck drivers to deliver goods, allowing some of the nation’s most remote locations access to modern conveniences. With stringent regulations and commercial training, professional drivers are committed to safely delivering all the things that make our collective quality of life possible. 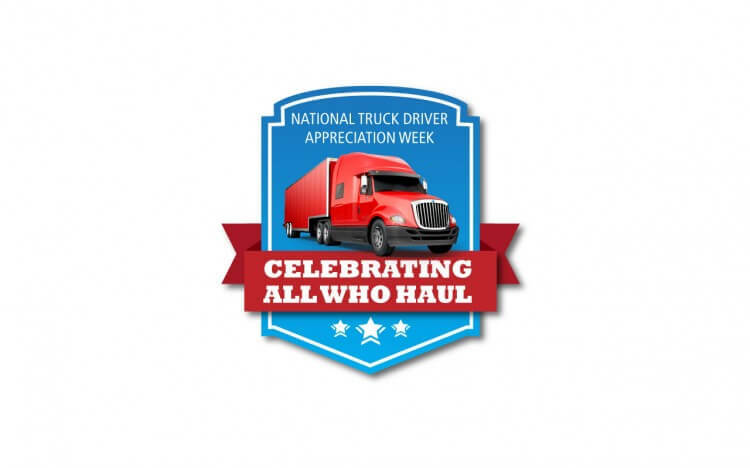 National Truck Driver Appreciation Week was founded by ATA and first began officially honoring drivers 20 years ago. Take a moment this week to reflect and be thankful for America’s drivers. It’s hard to imagine a society without them and the important role they play in keeping our communities safe and stocked. America’s truck drivers sacrifice precious time with their families, all while they deliver for ours, and this week we pause to say “thank you” to them. Please visit ATA’s website to learn more about professional drivers and National Truck Driver Appreciation Week.